There are many benefits to choosing a new metal roof for your Pepperell, MA home, choosing to have the professionals at Classic Metal Roofs install your new metal roof pairs all of these benefits with the confidence of the best professionals in the metal roofing industry. Choosing to have a new metal roof installed is a superb investment that offers an impressive return over your roofs lifespan. Aluminum, copper, ad zinc metal roofing offer a lifespan of over 50 years, 3 to 4 times longer than a traditional asphalt shingle roof installed on the same day. Over the duration of its lifespan your new metal roofing will require little to no maintenance thanks to the strength and durability of metal. Choosing an aluminum shake or aluminum shingle metal roof even grants you the same classic style of a traditional shingle with all of the benefits of metal. In addition metal roofing is backed by generous warranties! Choosing to invest in a new metal roof is not only a lasting investment but can also offer an increase in resale value. 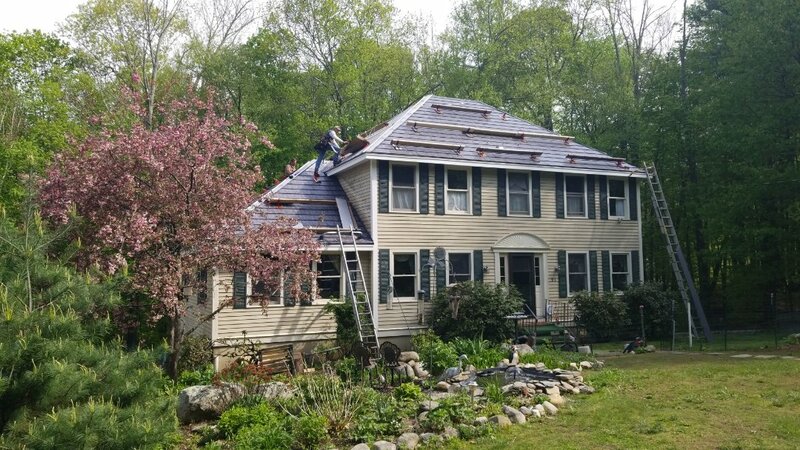 Homeowners who choose to sell their Pepperell, MA home can expect to recover up to 95.5% of the costs of their metal roofing according to the Metal Roofing Alliance. Choosing to have your new metal roof installed by professionals can also lead to a decrease in your homeowners insurance! With over a decade of experience installing metal roofs in the New England area the experts at Classic Metal Roofs would be happy to answer any questions you may have! Contact us today at (866) 303-2002 or fill out our online form for a free quote! Team was reliable and work was finished 1 day and 1/2 early. Looks better then ever expected. I'm here in Pepperell. 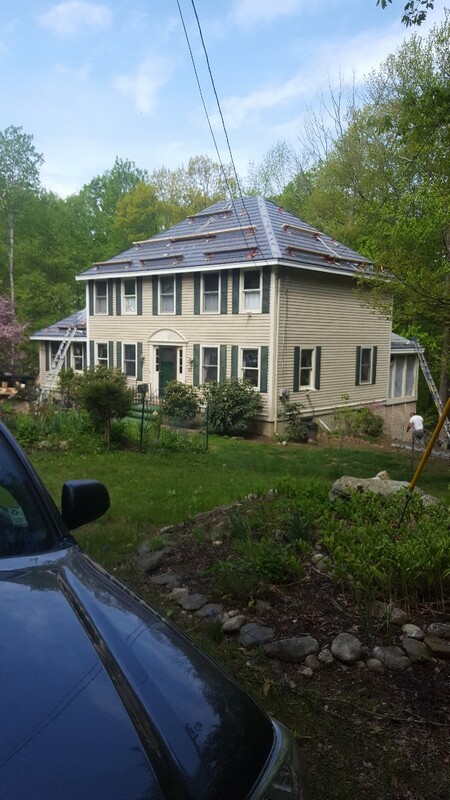 The metal roof in Oxford slate aluminum shingle looks great. Just about finished here in Pepperell, MA on this two story colonial. New PVC trim all around is done and now the Oxford Slate Rock aluminum metal shingle roof is being installed.